Kellicia is not your typical farmer. After growing up in Kingston, the capital of Jamaica, the 19-year-old admits she had no idea about farming when she first arrived at the Village Academy. But after a childhood of fear, living in a dangerous area where crime and violence was rife, moving to the countryside gave her the security and freedom she craved. Despite initially being unsure about following a course in farming, Kellicia embraced the experience and quickly learnt how to keep bees for honey, rear chickens for meat and eggs and plant and harvest crops. “As soon as I arrived at Village Academy, I felt very comfortable. It was my safe place; it was an escape from my home. I found peace there,” she says. At the Village Academy, which receives funding from a Queen’s Young Leaders Grant, young people are trained in agricultural activities, ranging from keeping animals such as pigs, goats and chickens to planting and cultivating different crops. At the end of the course, participants have the opportunity to set up their own business with a start-up of livestock or capital and they are mentored by staff in order to ensure that their efforts are successful. This year’s World Food Day theme is #ZeroHunger and Kellicia’s experience at the Village Academy has made her appreciate how different her childhood could have been if her family had had the knowledge and access to land to farm. 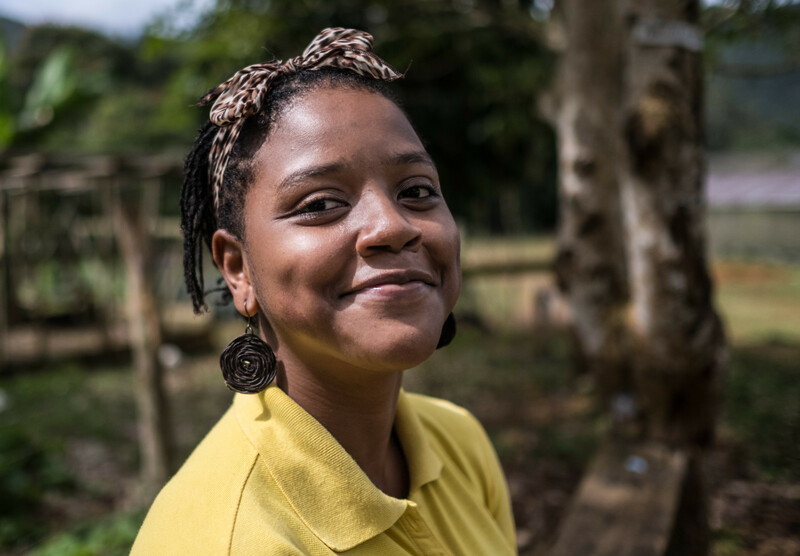 Now that she’s graduated from the programme, Kellicia realises that she learnt so much more than just practical skills at the Village Academy. “A lot of the things I learnt at Village Academy I will carry with me for a lifetime,” she says. “It didn’t only help to improve my knowledge; it helped me with my overall well-being. They don’t just teach you educational stuff. They teach you life lessons like, for example, what to do if things don’t go your way.